Share Samadhan is a vertical of WhiteInc Group, a Delhi-based company managed by qualified Chartered Accountants, Company Secretaries and lawyers. The group has now presence in HR and capital market advisory besides its core area of financial service. Share Samadhan is a part of this young, dynamic group with pan-India footprints. What does Share Samadhan do? Share Samadhan is a single-window, customised service provider in the area of unclaimed investments. Our service is for investors who face problems with transfer, transmission, dematerialisation of shares/mutual funds, unclaimed dividends, bonuses, split shares, conversion of shares and redemption of debentures. Are you into share trading too? No, we are not. Share Samadhan is not a stock-broking firm and do not trade (buying and selling of shares) in the capital markets. However, apart from assisting a client in claiming unclaimed investments in shares, mutual funds, debentures etc, we do assist in helping the client to buy or sell your unlisted shares through reputed brokers in the markets. Bringing back unclaimed money is the job of experts. Share Samadhan is an expert in unlocking unclaimed investments in shares and mutual funds. We take up your nagging problems with respective authorities, do all legwork, bear the pain of lengthy legal procedures to get your money back. You get a hassle-free service all along. Why should I trust Share Samadhan? We have done pioneering job by solving many tricky problems that unlocked Rs 20 crore of unclaimed investments so far. Share Samadhan is in the process of unlocking further several crores. Our performance along with the strong ethical foundation of parent body Whiteinc makes us the most trustworthy name in our area of expertise. Do I need to pay any advance fees to Share Samadhan? We do not charge any advance except a nominal commitment fees which is also refundable in case the job is not accomplished. You will be charged for actual expenses/ out of pocket expenses such as legal fees, stamp papers, documentation charges etc. I have lost share certificates. What should I do? Investors still holding shares or mutual funds certificates in physical forms, do face such problems. It becomes more complicated if the investors do not have any record of the lost certificates. However, Share Samadhan has solved many cases of lost certificates with the help of our extensive network and database. I do not live in India. Do I need to visit regularly to liaise with you? Your visit or physical presence is not required. Share Samadhan team will coordinate with you or your representative as and when required. What is unclaimed investment? Why it is a big issue? Unclaimed investments are investments in various financial instruments which legal owners have failed to claim over the years. The idle money is usually found in lapsed insurance policies, dormant bank, public provident fund and postal accounts, besides shares, mutual funds, benefits such as unclaimed dividends, bonuses, split shares etc. As the unclaimed money piled up in the system, it has gained serious attention at the highest level in government asking for concrete actions. What is the difference between ‘Transfer of shares’ and ‘Transmission of shares’? Transfer of shares is an act of transfer of title from one person (transferor) to another (transferee). Transmission of shares means the passing of title from a shareholder to his legal heir due to death, succession, bankruptcy, marriage. While transfer of shares is a voluntary act, transmission of shares is an operation of law. Unclaimed dividend is the declared dividend which is not encashed or claimed by a shareholder. The Companies Act, 1956 mandates that dividends not paid or claimed in 30 days are transferred to a separate bank account. Investors can claim the amount from this account anytime in the next 7 years. Subsequently, the amount goes to the Investor Education and Protection Fund, managed by the Ministry of Corporate Affairs. What is unclaimed bonus share?? ‘Bonus share’ is a benefit given to existing shareholders by a company in the form of additional shares. 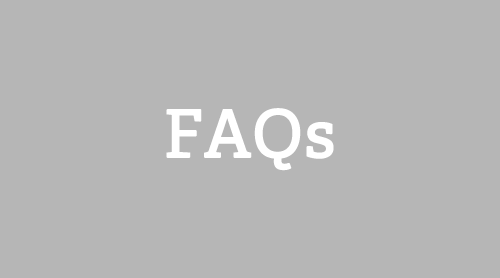 We term bonus shares unclaimed when a shareholder does not receive the benefits due to various reasons such as non-delivery, non-transfer of shares. The company transfers unclaimed bonus shares into suspense account if it is not claimed by the rightful holder. What is split of shares? Split of shares aims at increasing the number of shares by reducing the face value. While this provides a shareholder additional shares, it increases liquidity of a company’s shares in the capital markets. What if a company changes its name? If a company changes its name, a shareholder in possession of physical certificates can neither trade nor sell his holdings as long as he is availing fresh shares from the company. A cumbersome process has to be followed. What if a company gets merged with other company? Merger of companies may happen several times in the lifetime of a company. With merger, an investor encounters many tricky issues including change of swap ratio of shares. 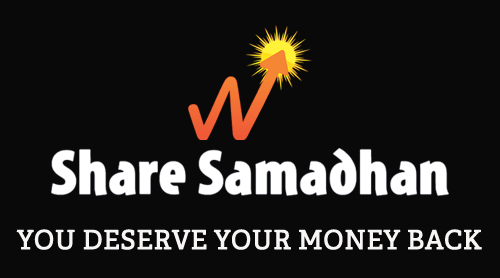 Share Samadhan helps investors tide over such situation by providing an expert service.